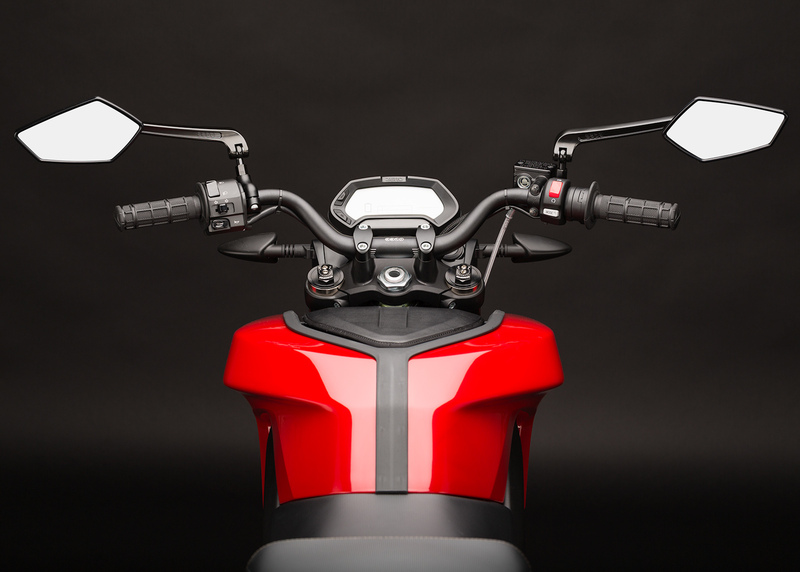 An Italian company called Tacita is launching electric motorcycles in three versions – motocross, enduro and rally – which it says can all be used off-road. Tacita, based in Turin, Italy has been in operation since 2009, working on developing all-electric motorcycles that would appeal to the enduro and adventure rider and has designed and developed the RC-Cross, the RE-Enduro and the RR Rally. All three bikes have recently been shown in Italy this past month and the company now has plans to put all three into full production. Starting at around $10,900 is the RC-Cross that has a three-phase electric engine, producing 44.2 lb.-ft. of torque with an internal rotor cage. Tacita claims it has a very high power output with more than 90% of the motor’s power transferred to the rear wheel. There are three mapping options for the engine – Sport (full performance), Eco for low speed trail riding and ‘Reserve Power’, which is automatically activated when the engine has less than 20% charge remaining, effectively reducing the bike’s power. When you’re on the move, additional power is also generated through a regenerative braking system (using 270mm front and 220mm rear discs). Unlike some other electrically powered motorcycles the Tacita bikes feature a five-speed transmission, which uses a conventional hydraulic clutch. The RC-Cross has steel single beam frame and has 330mm of ground clearance. Front suspension is via inverted telescopic forks with a fully adjustable Ohlin rear unit. Essentially the Tacita RC-Cross, RE-Enduro and RR-Rally are the same motorcycle with the major differences being the power of the batteries used and number you carry on the bike. For example a single 10.6 kW battery will give you a range of up to four hours riding time or you can opt for a combination of batteries to travel even further. The Tacita RR Rally version is essentially the same motorcycle as the RC-Cross and the RR-Rally with the same features and same motor. Where they differentiate is the number and type of batteries you have fitted to your bike. There is a sliding scale of 3.3kw up to 10. 6kw and depending on your combination can cost from the entry-level price of $10,900 for a pair of batteries generating 3.3 kW up to around $22,500 for a four battery pack that generates 10.6 kW. Tacita T-RE Enduro has Ohlins! 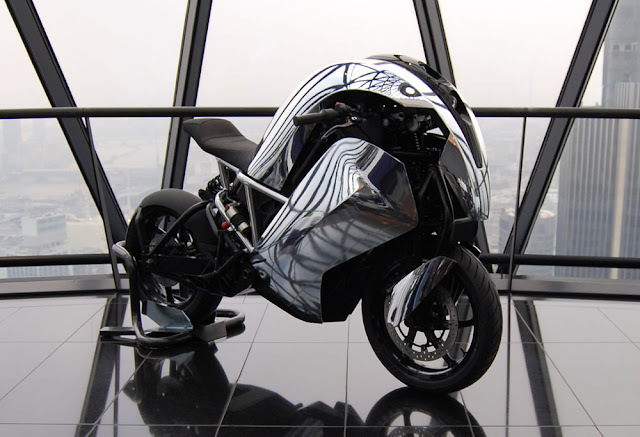 Ex-Formula One and aerospace engineer Lawrence Marazzi has spent five years building the ultimate electric motorbike. It’s been called the “Storm Trooper bike” and been likened to the kind of technology that could be found in science fiction series Red Dwarf. Meet the Saietta R.
Saietta R is made by Agility Global, headquartered in the UK and founded in 2008 by Mr Marazzi with the sole purpose of shaking up the motorcycle market. 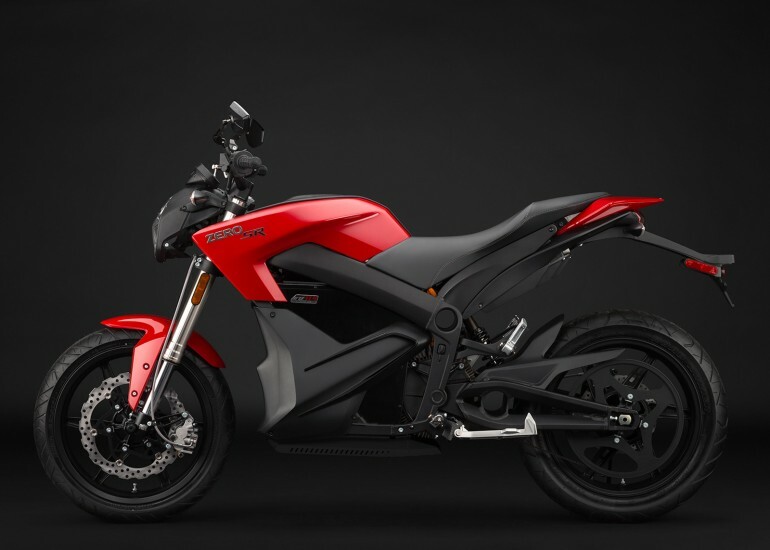 It leaves other electric bikes behind, going from 0mph to 60mph in under four seconds, and is safer than traditional engines. 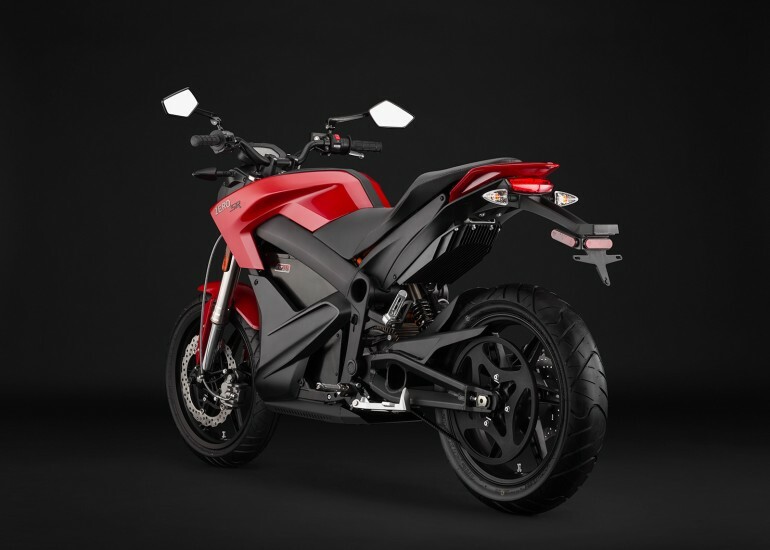 The Saietta looks nothing like existing electric motorcycles. It’s been called the “Storm Trooper bike” and been likened to the kind of technology that could be found in science fiction series Red Dwarf. Electric motorcycles are a fast-growing segment of the market. In 2010, the world produced 60m motorbikes that ran on fossil fuel and 32m electric and hybrid ones. With annual growth of 20pc, electric-powered models will close the gap by 2015, with both versions producing 70m units each. Mr Marazzi considered taking on the electric car market initially but it was too mature, even back in 2007, and the costs were prohibitive. Agility’s founder has invested £1.1m in seed capital following an equity round to fund development. It has also won three generations of Technology Strategy Board investment, which was fund-matched by private investors and totalled £300,000. Mr Marazzi also made a significant investment himself. This has been a labour of love for the designer turned entrepreneur. Agility Global built seven prototypes before settling on the current model. “Coming from an aerospace background, five years is pretty quick,” Mr Marazzi said. He is hoping to sell 9,500 units by 2018. “We designed the Saietta in a way that would allow us to scale production very quickly,” he said. It seems that the bike will be available in two packages: R and S. The S has a short range of 50 miles and costs £9,975 ($16,090 U.S). The R has a longer range of 100 miles and ships for £13,975 ($22,540) and already available for sale on the site. There will be a choice of body panels, tamer red version a black one, full white and (not confirmed) a highly reflective chrome . he 2014 Harley-Davidson Street 750 and 500 appear to be made in India and assembled in America. So what? The Subcontinent knows how to make a fantastic motorcycle. Here’s five great bikes that are made in India. There is seriously not one other bike coming for 2014 that I am personally more excited about or more likely to buy. With the possible exception of the last bike on this list… The RC390 pairs a very low weight with a high performance motor, a race-bred chassis and purposeful design. And, because it’s made in India, all that is likely going to be available for between $6,000 and $7,000. Prefer an upright naked? It’ll probably make more sense in the city. Very similar to the RC390, the Duke should be a little lower-spec, but likely a little cheaper too. Again, a uniquely appealing bike, especially considering it’s likely $5,000 to $6000 price. You’re not going to find a more faithful recreation of the original cafe racer theme than you will in this new Royal Enfield. The 535cc, single-cylinder will go on-sale in the U.S. next year for an expected price close to $6,000. Dubbed “Desert Storm” for its matte khaki paint, there’s a ton of visual appeal in this classic bike. And we do mean “classic,” Royal Enfield has been knocking these out in India since the 1950s, updating them with electric start, unit engines and good reliability along the way. “…we’re also developing a so-called dual-purpose or dual-sport version of [the Duke],” stated KTM boss Stefan Pierer in April. “I would say it’s a mix between supermoto and enduro. These will appear next, all made at the Bajaj factory in Chakan [India].” Expect similar specs to the 390 Duke and RC390 — 324 lbs (wet), 44 bhp, solid reliability and low maintenance requirements.